It’s a world of technology and when it comes to business, failing to have your business online is no longer an option. But then again, having a stunning website for your business is just one piece of the puzzle. Today, every minute of internet usage accounts for millions of people seeking information on Google and other search engines. As a matter of fact, the use of the phrase “In Google We Trust” has become a common phenomenon, especially among professional authors, bloggers, and researchers. This is because as the years have gone by, many people have gained huge trust in the internet to the point that no one wants to memorize information anymore, especially due to what a recent study referred to as digital amnesia. But as a blogger or online entrepreneur, this is really something you should take advantage of… and the more visible your website is on Google, the more your chances of attracting many prospective clients (audience), establish and showcase your brand, build trust, and skyrocket your return on investment. But online visibility will depend on a number of things, including the kind and design of your website, the quality of content you provide, the keywords you use, the backlinks you establish, and the strategies you have in place to tackle your competition. Basically, all these things revolve around having a good search engine optimization strategy. However, creating a full-proof SEO strategy is not an easy thing and in most cases, this is where most online entrepreneurs fail miserably. A good SEO strategy allows your website to climb the ladder and rank high on search engine result pages so that it can be visible to the maximum number of internet users. And this is where Professional SEO services and SEO templates come in. Basically, SEO templates are meant to make it easier for online entrepreneurs to optimize their sites for organic search. As a matter of fact, even SEO agencies need a powerful SEO strategy when optimizing their clients’ websites. In case you’re an SEO consultant or agency, Adam White from SEOJet has an SEO proposal template that shows you how to go above and beyond with your proposal by using key components like your specific link building strategy, keyword research, and the logo of your potential client. But what exactly is this template thing?.. you may ask! Including information on what it is, here are some 7 ways how SEO template has made our lives easier as online entrepreneurs. If you know a bit about SEO, you’ve probably come across the phrase “Content Is King” before. Even though some tend to be pessimistic about it, this can never be further from the truth. For starters, the content you place on your website dictates how much value you provide to your audience, which is one of the things Google looks at when ranking sites. Using a good SEO template tool, you can now easily provide meaningful content that is also SEO friendly to your site visitors. Based on your target set of keywords and your competition on the market, the template tool will suggest to you the appropriate content length to adhere to and also measure for you its readability, allowing you to make changes and fine-tune it to please search engines without disrupting the intended value. With SEO template tools, analyzing your competition and knowing what they’re up to becomes easier. This is because most of these tools use your target keywords to analyze how your top competitors are using them in their content, thereby providing you with recommendations on how to use your keywords to improve your search performance and possibly outperform them. Did you know that the length and structure of your titles and meta descriptions matter in SEO? Most of these tools will recommend changes upon detecting that your title or meta description is too long, thereby improving your SEO strategy even further. A meta description is a snippet of text that search engines show below search results. It is basically a summary of what each page displayed on the results is all about and are usually 160 characters, maximum. Nothing is as important as keywords in SEO content. They are what internet users type on the Google search bar when looking up information online. As your template analyzes your competitor keywords for you, it can provide you with more inspiration for you to discover more relevant keywords as well as semantically related ones that you can use to further improve your site’s ranking. This makes keyword analysis (which is a crucial component in SEO) easier and less stressful. Link building is another incredibly important aspect that you should ace in your SEO strategy. Backlinks on and to relevant, high-authority sites and blogs go a long way in improving your site’s value, and traffic while catching Google’s attention in a positive way. But many entrepreneurs just don’t know where to get backlinks from. Well, a good SEO template tool will often suggest domains for you where you can establish relationships and get backlinks from without much of the hassle and frustration that DIY research may involve. 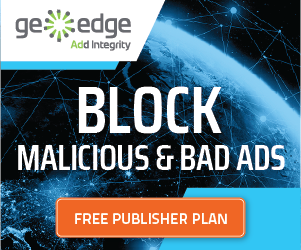 Things such as over-optimization of content, plagiarism, spam-decking, and the use of broken links can get you penalized by Google or even have your site brought down. 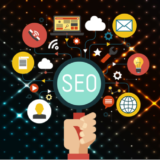 The good thing about using an SEO template is that it helps you avoid such pitfalls, for instance, by advising you against the overuse of keywords on your content, suggesting the appropriate length. This way, you no longer have to worry about issues that may put you on the red line of Google. In this life, nothing is as good as being well-organized, be it in business or as an individual. You’ve analyzed your competition for your target keywords, gotten recommendations for content, and known where to get your backlinks… all this information is compiled into text and put in a downloadable doc or pdf file that you can save or print and use for future reference without needing to do the whole thing again. This is why it is called a proposals template! In summary, the main aim of SEO templates is to help you rank higher than your competition on SERPs. Ranking higher on search engines improves your online visibility, thus potentially increasing the amount of traffic on your site. And the more traffic you get, the likelier your brand is to become more popular and your business to make more sales.